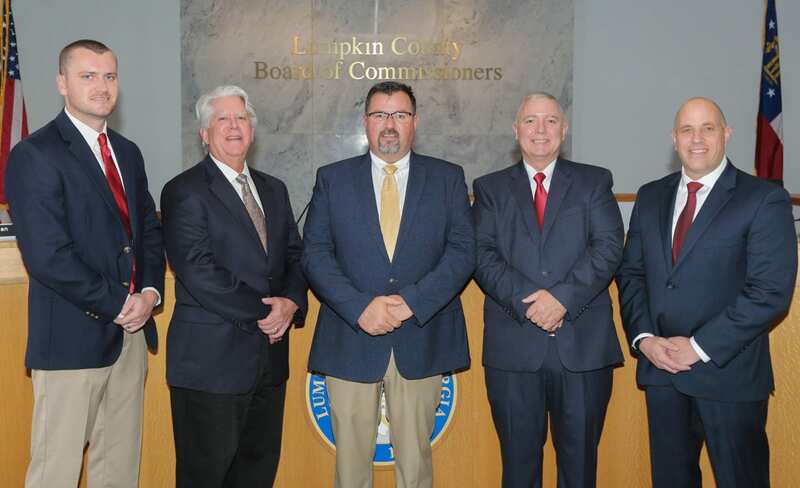 DAHLONEGA, Ga. – The Lumpkin County Board of Commissioners presented a number of awards during the regular meeting Wednesday to people who have made a significant, positive difference within their community. 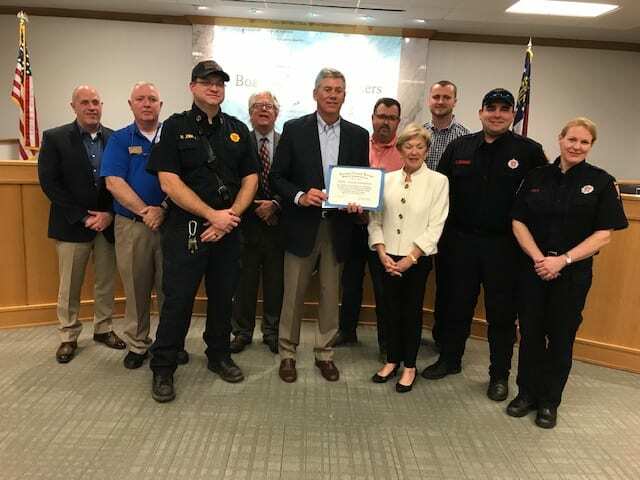 Commission Chairman Chris Dockery read a resolution to honor the Fowler family for the donation of a Lund Hospital Cardiac Arrest System (LUCAS). Rob Fowler presented the gift to Lumpkin County on behalf of his late father Bob Fowler, Sr. The LUCAS device provides external cardiac compression to patients suffering cardiac arrest. 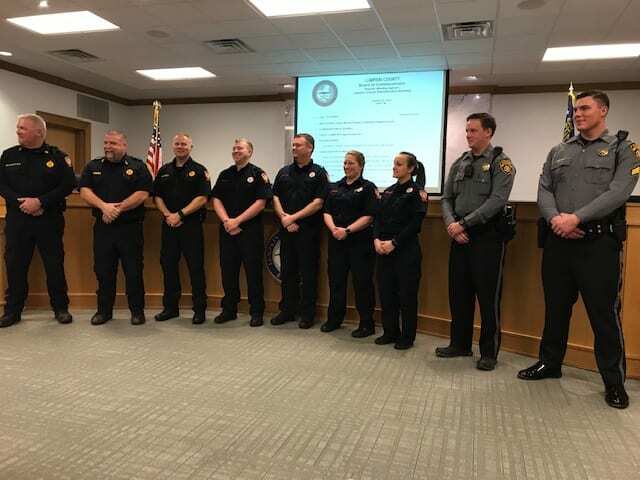 Commissioners also recognized Employees of the Year in three departments. 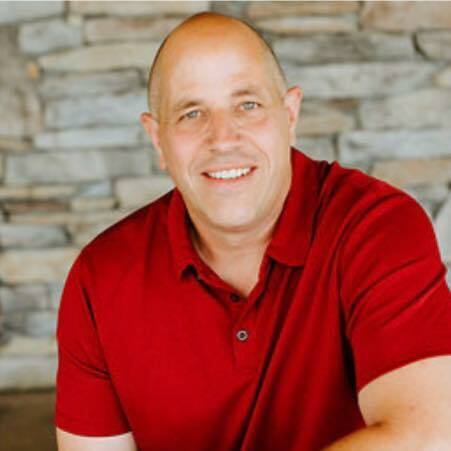 James Lord was chosen for his work in Emergency Services. Lord has worked for Lumpkin County for 30 years. Gabriel Castillo was selected for his work in the Sheriff’s Office and Wayne Marshall was chosen for his effort in Animal Control. The Board then approved contracts to the law firm of Blasingame, Burch, Garrard and Ashley to represent the county in a potential class action law suit against contributors to the opioid addiction crisis, Mauldin and Jenkins to perform the county audit and Capital Accounts to collect unpaid fees due the Parks and Recreation Department. A tax refund request filed by Kingwood Dahlonega International Resort. Commissioners tabled a request by James G. Cambron for annexation of his property into the City of Dahlonega. (Photo front row from left: Michael Joiner, Colton Seckinger, Rob Fowler, Leslie Fowler and Bridget Rigby. Back row Commissioners Jeff Moran, Bob Mayfield, David Miller, Chairman Chris Dockery and Rhett Stringer). DAHLONEGA, Ga. – The Lumpkin County Board of Commissioners will have a number of new or renewable contracts to discuss when it meets in a work session at 5:30 p.m. today (Feb. 26) in the County Administration Building. 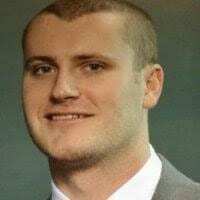 The Board will consider an agreement with the law firm of Blasingame, Burch, Garrard and Ashley to represent the county in potential litigation against contributors to the opioid addiction crisis. If there is no recovery, there is no cost to the county. Finance Director Allison Martin will recommend the county renew its agreement with Mauldin and Jenkins to perform the county audit. Allison will also recommend the county contract with Capital Accounts to collect approximately $23,700 in unpaid fees due the Parks and Recreation Department. Capital Accounts charges a percentage of what it collects, so there is no cost to the county. Senior Center Manager Linda Kirkpatrick will ask the Board to consider approval of an addendum to the Legacy Link contract for senior center operations and the Meals on Wheels Program. 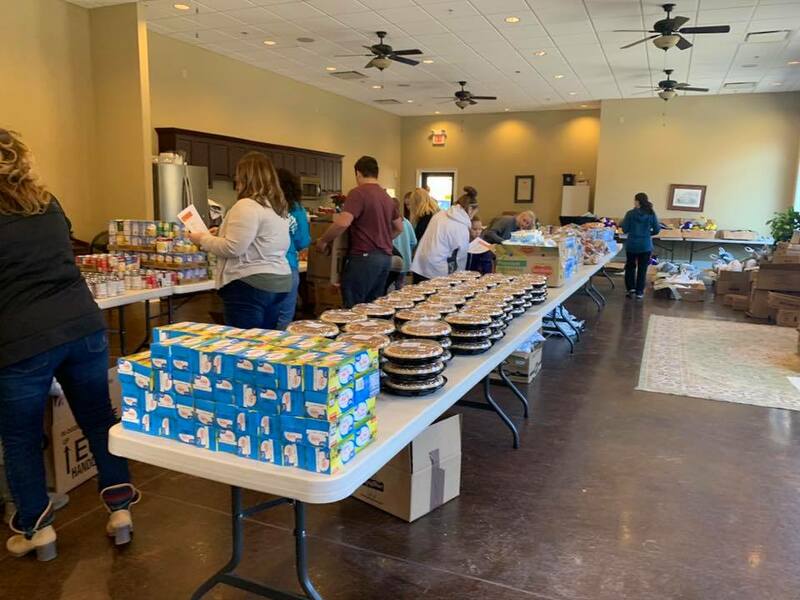 Sheriff Stacy Jarrard will seek a renewal of a contract with Agape Food Service & Catering, Inc. which has provided an inmate catering service for prisoners at the Lumpkin County Detention Center since 2009. 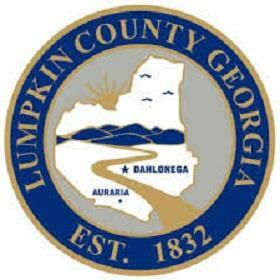 DAHLONEGA, Ga. – Lumpkin County Government is done with Windstream. Following complaints that ranged from high charges to internet connectivity issues, the Board of Commissioners voted unanimously Tuesday to replace Windstream as its phone and DSL service provider with North Georgia Network. Commissioners say the county’s contract IT administrator has worked with Windstream and has conducted numerous tests based upon the information provided by Windstream and has discovered that even during the night or early in the morning when there is limited usage of the county’s network, there is an issue with the bandwidth and the ability to have a stable connection. There are also severe issues with the services on Red Oak Flats Road that cause the phone and internet connectivity to drop as much as eight times a day. In December 2018, the county received a bill for over $11,000 in long distance charges for calls routed through AT&T for long distance. This same issue occurred in July and Windstream provided a credit for those charges but failed to issue a credit for the December charges. In searching for a solution to the network and phone issues being faced by the county, staff asked its IT administrator to reach out to NGN to see if they could provide services to the county. After several meetings it was determined that NGN could provide not only internet service to the county but PRI/phone service to the majority of our facilities. Lumpkin County currently pays Windstream $8,500 a month for phone service, (ten thousand minutes of long distance) and internet service. NGN can provide more dedicated internet, the dedicated IP addresses needed, the PRI functions for the phone and ninety-two thousand long distance minutes for $5,550 a month. There is a one-time cost of $5,140. This would be recouped in approximately two months. The county would not be able to move every phone line as NGN is not in all areas but would be able to move the bulk and save approximately $3,000 a month. The project would be completed in a three-phase approach. The internet connection would be upgraded at the Justice Center and Administration Building. Next, the phone system would be migrated followed by the off-site locations that could be served by NGN. The upgrade in the internet to a more stable platform is also expected to provide some relief to operations on Red Oak Flats until such time the phone system can be fully migrated. 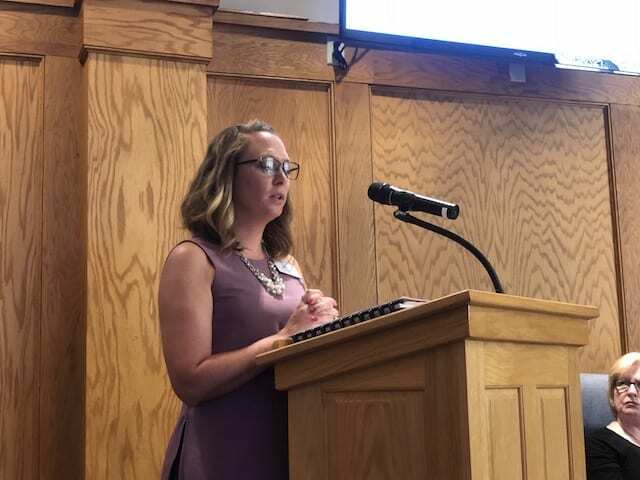 Jessica Dudley, Executive Director of the Community Helping Place, gave a presentation on the 2GA Initiative, through the Healthcare Georgia Foundation,during the City Hall meeting on Thursday, September 20. 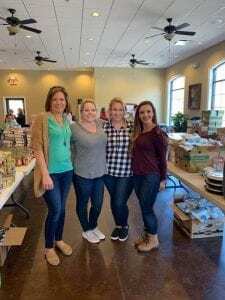 With this grant, CHP provides community navigation events that encourage community outreach and educational services, such as: increasing literacy by pairing with the Lumpkin County Library, providing fresh produce to those in the community who do not have access, and also increasing healthcare access to uninsured patients. CHP has to apply for this community-wide grant yearly; Dudley explained during the presentation that, “we were one of eleven communities in the state of Georgia [to be awarded the grant].” They received $65,000 from June 17-18, and another $100,000 from June 18-19. 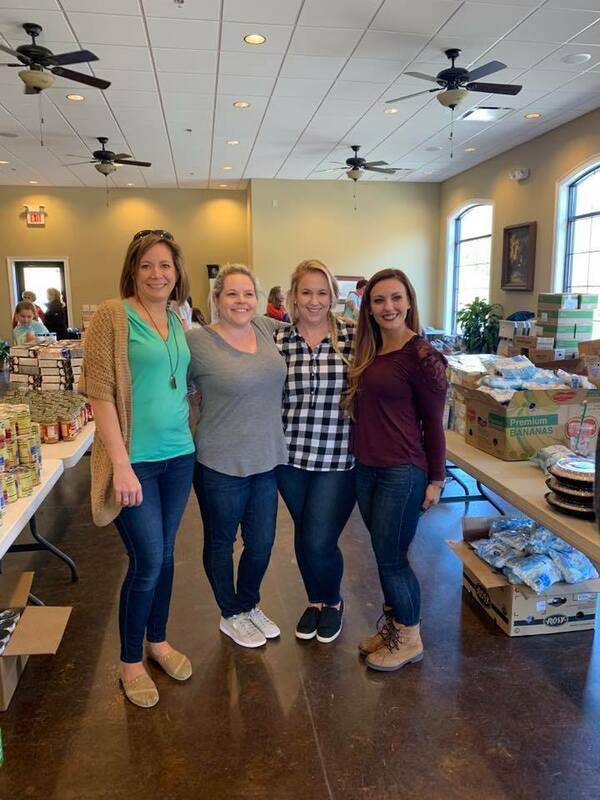 For more information on volunteering with the Community Helping Place, click here.